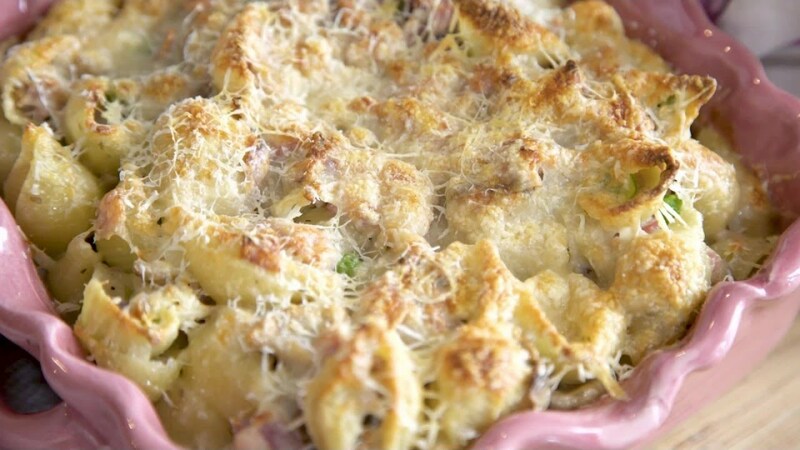 This Ham, Mushroom & Pea Pasta Bake is the perfect pasta dish for children or adults and so easy to make too. A lovely combination of cooked ham, mushrooms and garden peas, topped with grated cheese the perfect dish for learning toddlers to get stuck into with a fork. COOK the pasta until al dente - you need to slightly undercook it. MIX well and place in an oven proof dish. COOK in a preheated oven 190 C, 170 C fan, Gas mark 5 for 20mins until heated through & golden on the top.